The Palominas Fire District currently operates three fire stations. We have two of these stations manned 24/7. 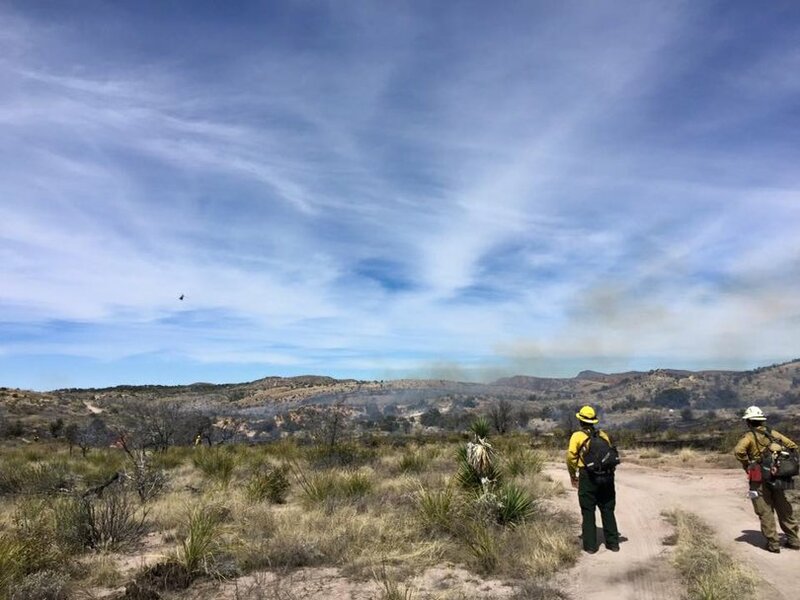 PFD is a partner in the local Automatic Aid System with Sierra Vista Fire & Medical Services, Fry Fire District, Bisbee Fire, National Parks Service, and Fort Huachuca Fire Department. The Automatic Aid System is a regional effort to increase service delivery to the community by ensuring the closest most appropriate resources are dispatched to an emergency regardless of jurisdiction. The Palominas Fire District also participates in an Intergovernmental Agreement (IGA) with the City of Bisbee for Automatic Aid services as well as Ground Ambulance Transport services. The Palominas Fire District has transitioned from an all volunteer fire department into a career-combination department. We now operate 3 fire stations. Two of these fire stations are manned 24/7. The Palominas Fire District has on duty EMTs and Paramedics that are ready to respond to any needs the community may present. Palominas Fire personnel are trained in specialized areas such as technical rescue, hazardous materials response, WMD/terrorism response, and wildland fire operations. The Operations Division works hard to ensure we maintain strong partnerships with our local agencies. Palominas Fire District responds to a unique area that requires strong relationships with local County, State, Federal law enforcement and fire agencies. Palominas Fire District provides Advanced Life Support services to the community. This means we have on duty Paramedics & EMTs that are ready to respond to requests for service. The Palominas Fire District owns three ambulances which we operate through our IGA with the City of Bisbee Fire Department. 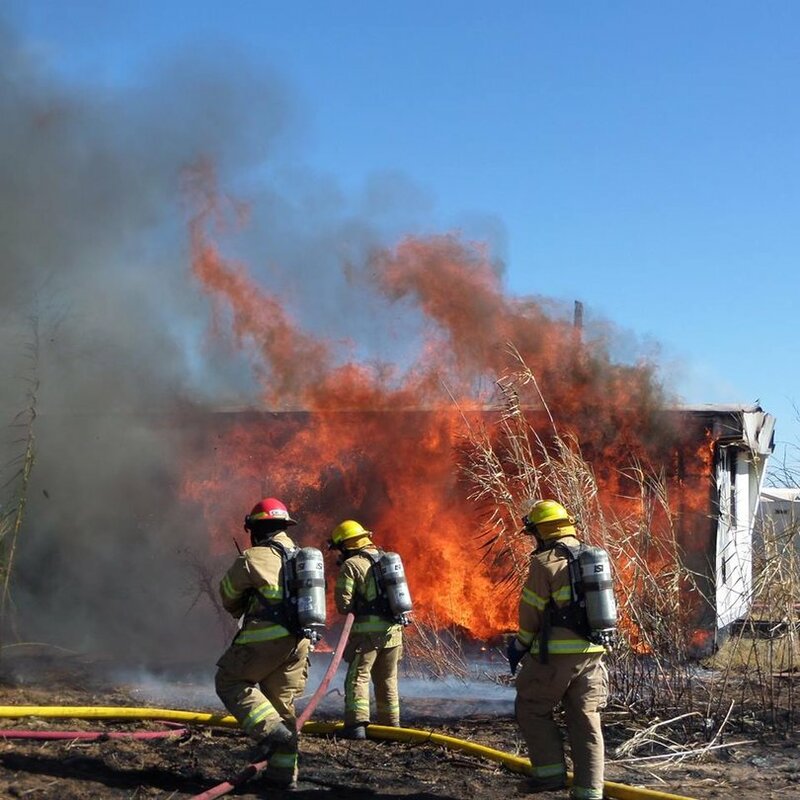 Palominas Fire District responds to all types of emergencies. We provide structural fire suppression and rescue services to the community. All personnel are trained to the NFPA standards regarding fire suppression and rescue qualification needs. 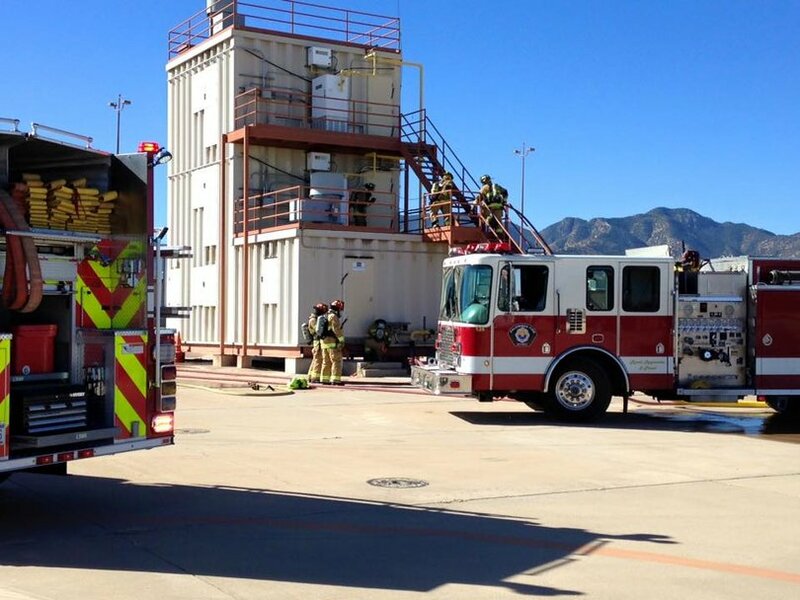 Palominas Fire District participates in Hazardous Materials Response as well as Technical Rescue Response. The Palominas Fire District also has a Wildland Fire Division that responds to local and out of area wildland fires when requested to do so through our agreement with the Arizona State Forestry Division. The Palominas Fire District Training Division is responsible for coordinating training needs to our organization. We also facilitate training needs of surrounding public safety agencies in order to ensure strong partnerships throughout the region. We host our training courses at our Training Center. The Training Center consists of a class room with seating for 50 students as well as a 3 story burn tower, vehicle fire props, extrication props, high angle and confined space rescue props as well as a roof ventilation prop. If you are interested in utilizing our training center, please contact Assistant Chief Mirabelli to coordinate the utilization of the facility.